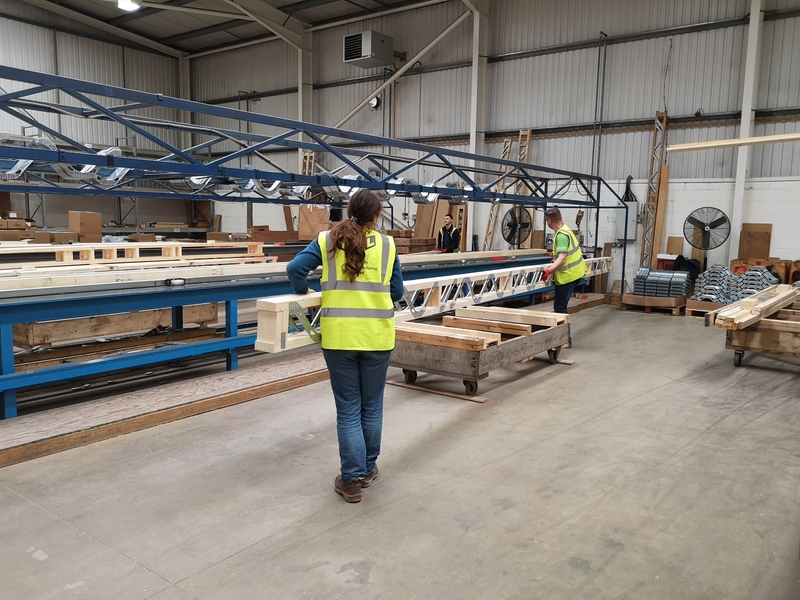 I was given the opportunity to see how roof trusses and floor joists are manufactured at Robinson Manufacturing’s Wellingborough factories as part of my induction as Marketing Assistant at RMUK. 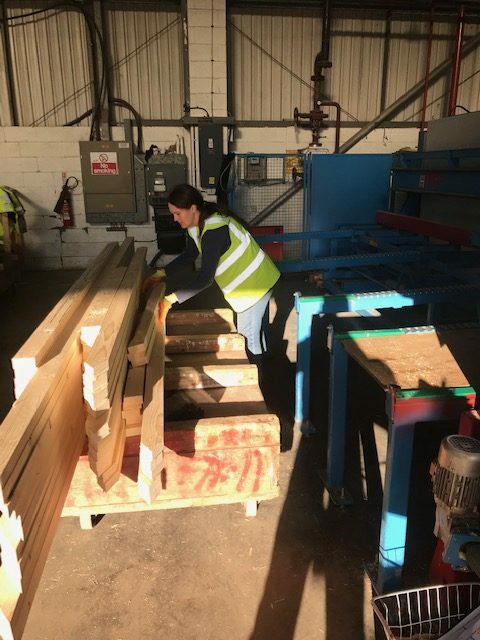 Prior to my first day on the ‘shop floor’ at the roof truss factory, I was handed protective gloves, a high visibility vest and a pair of safety boots by Risk Manager Greg, who also gave me a talk about staying safe in a factory setting. On my day in the roof truss factory, Tom talked me through how the trusses are made and the setup of the factory. I was then introduced to Ashley and Chester, who showed me how they set up the table according to the exact dimensions of the roof trusses that are specified by the design team. They use tape measures and pens to mark out the positioning of the wood and the nail plates, before clamping the wood in place. I was then shown how to use a ride-on press to secure the nail plates into the PEFC graded wood. 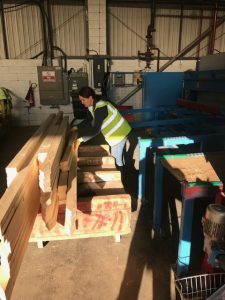 In the afternoon I joined Tom, who used the Hundegger machine to cut the wood to precise specifications, while I loaded it on to the trolleys. We then prepared the metalwork with bags of ancillary items that are sent to customers along with their order. My day at the joist factory started with an introduction by Joist Director Glyn. I then assisted Darren with the set-up of the metal space joists (using the size of spacers and alignment that was specified by the designers in the customised design plans) and Archie used the press to secure them in place. We loaded each complete order on the trolley before Archie added the trimmers and metalwork ready for delivery to the customer. Elsewhere in the factory members of staff were cutting the I-joists to the right length for customers. I was impressed to see how effectively the teams in both factories worked together to ensure that the orders went out on time and by how everyone made me feel welcome. 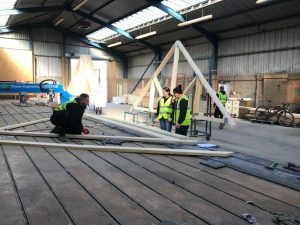 Also, it was encouraging to see how every bit of wood was either used in the process of making the trusses and joists or put into the biomass heater. ← WhatHouse Awards 2019 – Enter Now!